New Zealand Fly Fishing Escape’s fly fishing guides are run by wilderness expert Ben Haywood. Ben has over 25 years’ experience in trout and salmon fishing. All fishing guides are dedicated, energetic and have years of experience fly fishing in the pristine streams and rivers located on or near Flock Hill Station. They use this vast local knowledge to personally customise each guided fishing trip, providing the ultimate New Zealand fly fishing experience. Whether you are a novice, recreational or experienced angler, our fly fishing guides look forward to sharing their knowledge and expertise with you, maximising your time stalking our wild trout and creating life-long memories. Each trout fishing guide is a member of the New Zealand Professional Fishing Guides Association (NZPFGA) and operates a well-maintained 4WD. They carry all commercial insurances, including liability, and have attained a current First Aid Certificate. 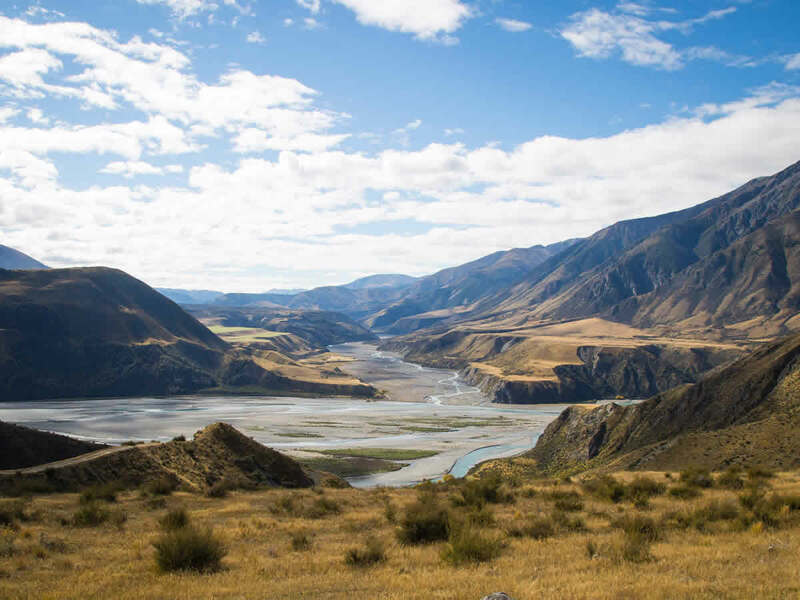 With years of experience, our New Zealand fly fishing guides have a vast knowledge of Flock Hills’ rivers, weather patterns and stream entomology. As locals they always know where to find the best spots so even novice anglers can hook into their first trout. Your trout fishing guide will take you to crystal-clear spring creeks, small, remote freestone rivers, or the alpine lake on the farm. Whichever location you choose, you are guaranteed to fish in an environment that is nothing short of breath-taking. Ben was one of the best guides I have been fishing with, knew the rivers really well and even better where the fish liked to hang out. He put me on the fish within the half hour on the river and the action did stop all day. In fact by the end of the day I was had lost count of how many we caught and if not for all the photos Ben took throughout the day I would not have realized how many we actually put in the net. I have never fished with anyone who is able to spot fish better than my guide Ben Haywood. He put me on multiple large rainbows in only a half-day fishing trip. It was a first-class experience and a fly fishing trip of a lifetime. Thank you Ben. I hired 3 different guides during my New Zealand fly fishing adventure. Ben was the best of all of them. He is knowledgeable, patient and very skillful. He organises everything so well for you that you will definitely enjoy the fly fishing trip. He will take you out on the best streams of Southern New Zealand. He will share his knowledge and you will definitely catch some trophy-size trout. I had a great time fishing with Ben. Highly recommended! Our day fly fishing for trout with Ben Haywood was absolutely wonderful. As novice fly fishers we were a little concerned we wouldn’t be up to the task but with Ben’s advice and assistance we soon felt comfortable and relaxed, and we were onto the fish in no time. Ben’s knowledge of the river system was outstanding and his encouragement and expertise ensured we had a fun, exciting and thoroughly enjoyable day. Fishing with Ben was the highlight of my 3-week trip to New Zealand. Ben was there 20 minutes early to pick me up. It was a 45-minute drive to where we started fishing. Gorgeous scenery throughout the fishing experience. We hiked into a gorge and fished 3 different rivers. Fish were plentiful, caught several and had fun. Ben knows the hotspots and when the fish were not biting on one fly, he knew what fly to switch to. He is very safety-conscience, carried medical supplies and evac phone in case of emergency. Even this 70-year-old fisherman could not have found a better fishing guide and partner anywhere. 2018 New Zealand Fly Fishing Escapes. All Rights Reserved. Website & SEO by WebWords.